Edward was born on May 3, 1862, eldest son of Mary Tait and William Henry. He was no doubt highly in favour of the move to Manitoba in 1881 to be able to have land of his own. The first few years in Manitoba were spent working on building up his home farm at 32-13-21, working for the railway and cutting bush in the winters for cash as well as lumber for his buildings. He was known as "Long Ned" so I assume he was a tall man and needed a nickname to know him apart from his cousin, "Red Ned" Henry, son of John. In 1895, he was apparently the framer for a 100 foot long stone and frame stable for John Hall Stewart. 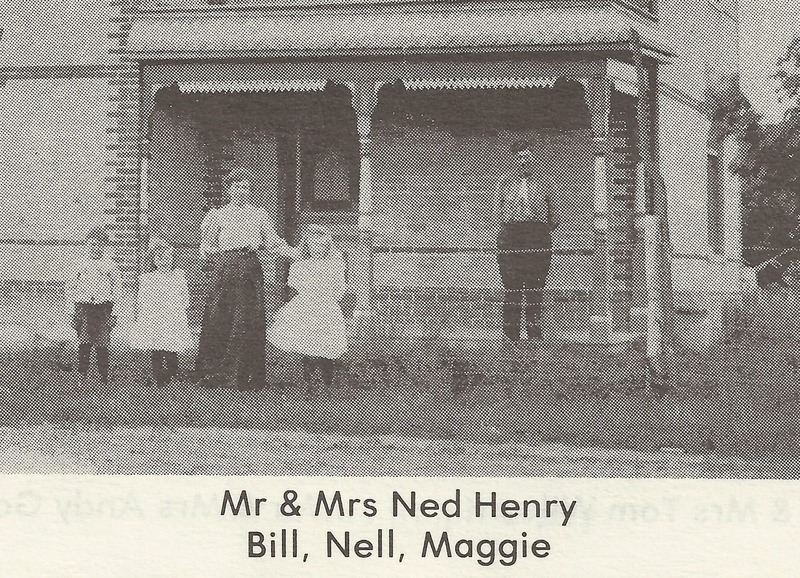 This family had immigrated from Scotland in 1881 and were neighbours to the Henry family. Presumably he did an acceptable job as six years later, Ned married daughter Annie Stewart. When they married in 1897, he was 35 years old and she was 28. Their large farm home was built in 1902 with red brick from the Rapid City Brick Factory. Ned and Annie went on to have five children. Robert Edward (1909-?) married Teenie Wolvanski and raised 4 children in Strathclair. The White Bank Lea History booklet is available online here at Manitobia and the last pages of land ownership over the years indicate Edward Henry acquired the following quarters in the year indicated. 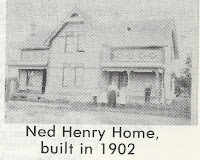 Ned Henry served as Councillor of Ward one in the RM of Blanshard from 1895 to 1913. He then went on to become Reeve from 1913 to 1922. Ned kept Clydesdale horses and shorthorn cattle and was one of the directors of the first Agricultural Society Board in Oak River. 5/9/1940 (Oak River - E. A. CORBETT, correspondent) Ex-Reeve Edward HENRY, pioneer of the Oak River district, celebrated his 78th birthday May 3. 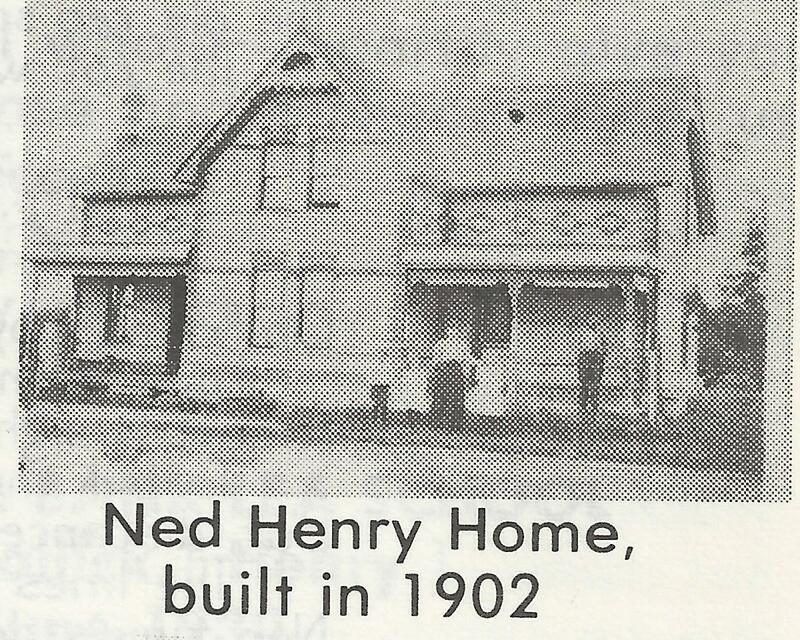 Born in Perth county, Ont., Mr. HENRY came west in 1881 and settled on the farm on which he still resides. He was councillor for Ward 1 of Blanshard municipality from 1895 until 1913 and reeve from 1913 until he resigned in 1922. He was one of the founders of the Oak River Agricultural society and is now an honorary director and life member. In 1897 he married Anne STEWART of Oak River, who died in July, 1919. There are three daughters and two sons, Mrs. A. MC FADDIN, Grimshaw, Alta; W. E. HENRY, Oak River; Mrs. John ROBERTSON, Winnipeg; Robt. HENRY, Wasagaming; Mrs. C. HEAPY, Oak Lake. His wife died at age 50 in 1919 leaving Ned with a young family - the oldest from 19 down to 10 years old. Ned lived until 1951, age 89 and is buried with Annie in White Bank Lea Cemetery.